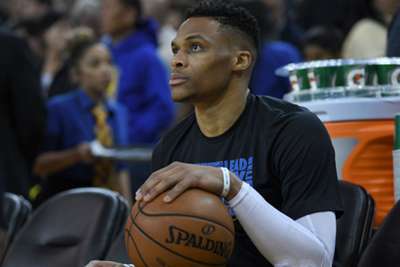 Russell Westbrook returned to the court for the Oklahoma City Thunder's game against the Sacramento Kings. Thunder star Westbrook missed the first two matchups of the NBA season as he recovered from a knee procedure. But Westbrook, 29, made his season debut against the Kings on Sunday. Westbrook – the 2017 NBA MVP – averaged 25.4 points and 10.3 assists in 80 games last season. The Thunder lost both of their games without Westbrook. Oklahoma City guard Dennis Schroder has averaged 14.5 points, but shot just 26.5 per cent from the field in Westbrook’s place.